At St. Philip’s In The Hills Episcopal Church, we are devoted to welcoming, encouraging, and empowering all to grow in faith and to do God’s work in the world. 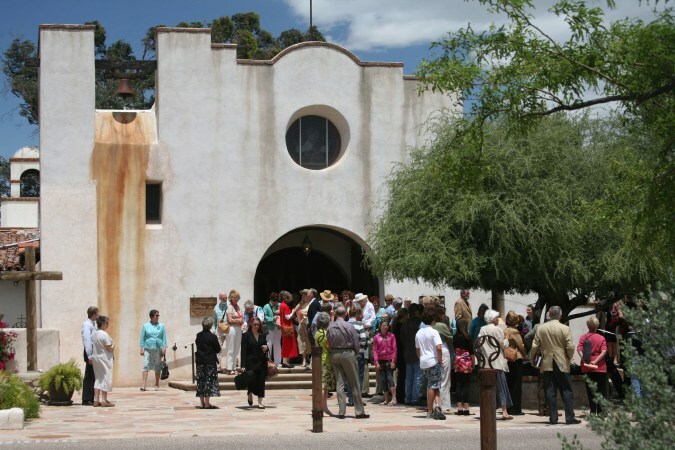 We are a historic part of the Tucson community — known for our architecture, pristine grounds, world-class music, open doors, the way we embrace the diversity of God’s creation, and support others in their relationships with God and discernment of their unique gifts. Whether you have been part of our family for 30 years or are preparing for your first visit — welcome to St. Philip’s. St. Philip’s is located at 4440 N. Campbell Avenue at River Road. Ample parking is available in the north parking lot or under our solar structure on the east side.